I need a new graphics card as mine is now kaput. Have been recommend the following card to replace it. I don't have a lot of cash to splash on it....so don't really want to spend more than that. Question is....do you guys think that this is a reasonable graphics card for the money ( £160 ) ?? Personally Summers if you were looking at a 1050 ti I'd look at forking out a bit more for a 1060 or 1070. Scan.co.uk is where I tend to buy a lot of my kit from and they do finance options which saves you if you can't afford the extra straight away. Buy good or buy twice. Not that the 1050 is a bad card. Just probably won't have much scope for future games. Personally I have now 970 since it was first introduced and I never had problem with it and only series I would buy for the future is minimum 70. Its up to you what do you expect from the card and which res you are currently running on the other hand if you dont have good cpu its gonna nerf the gpu. But if you dont want latest tech (RTX) and you want something affordable go for 1070. Great power even for the future yet a good price. That's the tricky thing with computer parts. 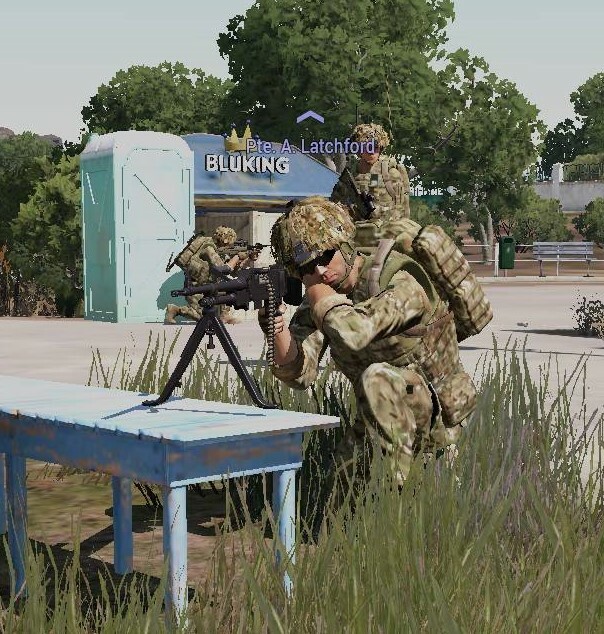 Sure that graphics card will do you well with Arma 3, if the rest of your system is up to scratch. But then there's always better options out there, at the trade of more money. If you don't have the funds right now for something along the lines of a 1070 or even 1080 then the choice is yours: buy a cheaper card risking it being outdated for anything new coming out, or invest a little more to then be more future proof. Never assume that simply having a gun makes you a marksman. You are no more armed because you are wearing a pistol than you are a musician because you own a guitar. Thanks for the guidance everyone, plenty of food for thought. I'm gonna stick my oar in and say actually don't go for a higher priced one at the moment, as the current trade issues with China means they are hiking componant prices, meaning graphics card pries are way high atm. In a year or two when you may need to buy a better one, you will get more value for money as other component part prices will have gone down (hopefully). Quote: I'm gonna stick my oar in and say actually don't go for a higher priced one at the moment, as the current trade issues with China means they are hiking componant prices, meaning graphics card pries are way high atm. In a year or two when you may need to buy a better one, you will get more value for money as other component part prices will have gone down (hopefully). Did you consider Brexit though?